Continuously analyze your code for issues, find bugs, enforce coding-style, track technical debt, and measure progress. Analyze your code for issues ranging from critical security issues, over bugs, to coding-style issues, and fix them before production use. 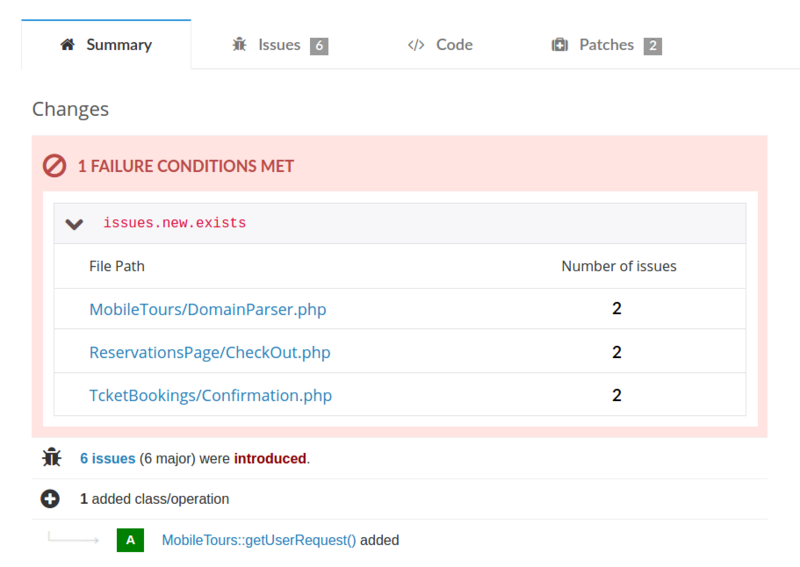 Select from a list of thousands of built-in checks to catch common issues before your code is deployed to production. Scrutinizer provides a central, authoritative place to enforce coding standards across your teams, and raises awareness of code quality issues. You are not left on your own to fix issues, Scrutinizer provides a wide range of documentation for most issues. Scrutinizer's build environment provides a powerful platform with a large range of pre-installed languages and seamless CPU scaling. It is an ideal foundation for running open-source tools, Scrutinizer's analysis tools, and your own checks. Scrutinizer has built-in wrappers for many open-source tools, but also supports any other tools that produce output in a supported format like the common checkstyle format. Scrutinizer also provides own analysis software for selected languages which run a deep data flow analysis on your projects that is also powering our Code Intelligence product. Keeping false-positives at a low level is important for continuous use and developer adoption. Scrutinizer allows you to filter not only specific issues, but also similar issues from future inspections. Scrutinizer gives you feedback on each change you make. This makes it easy - even for legacy projects - to focus on continuous improvement and not the current state of your project. Scrutinizer supports various git workflows regardless of whether you prefer squashing your pull-requests or performing a regular merge. Define custom failure conditions like minimum coverage requirements, or minimum code rating requirements to prevent bad changes from being merged into your code base. Scrutinizer shows you how your project changed allowing you to spot trends and to take counter measures timely. Get an executive report each week detailing the biggest changes during the week and how those affected your project. View detailed line coverage generated by your tests and enforce minimum coverage requirements as per your project guidelines. Relevant code metrics combined into a single score so that you only need to look at individual code metrics when a problem arises.